With Steve Benson and his 11 year old son aboard we started off the day at a river spot that had lots of tarpon holding in one small area. The fish ranged from 30 to about 80lbs and, of course, using the lightest rod on my skiff the young man tossed a small jig, allowed it to sink, then hooked up solid on a 40lb fish.... For the next 20 minutes that young man fought that tarpon around and around with the fish doing its best to get free. Finally after numerous jumps, several attempts to get behind snags, he finally fought the fish to a standstill - but it still had just enough energy to find one last downed tree... and I was re-rigging that rod. A few minutes later it was Dad's turn with a fish in the 60lb range that we carefully released in good condition. 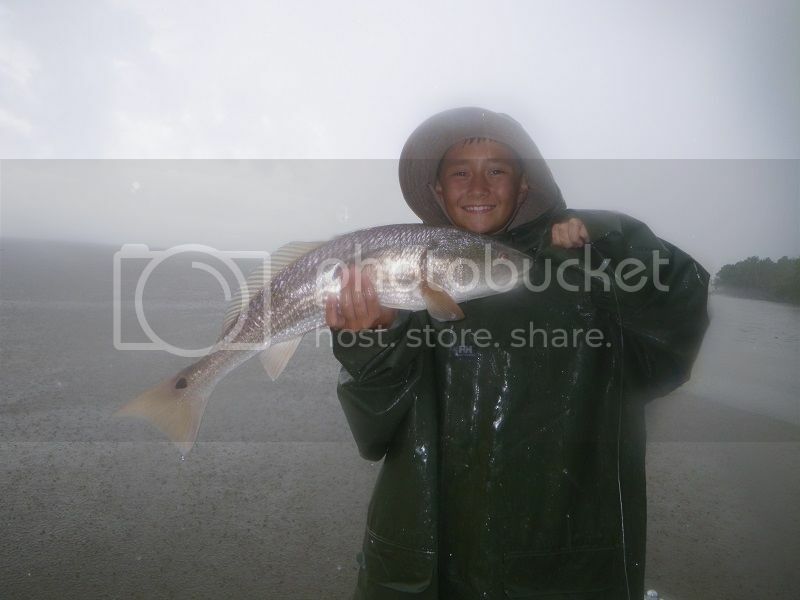 The redfish was his first and as you can see was taken in rainy conditions. 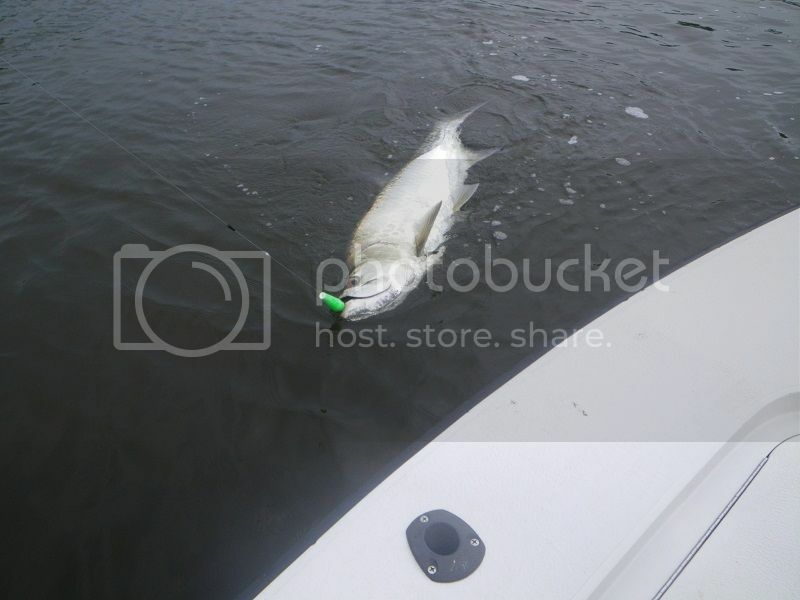 We lost several of these big river snappers before finally getting one to the boat. Mangroves up inside the rivers that drain into the Gulf will be going strong all summer long..... and getting bigger and bigger each week. 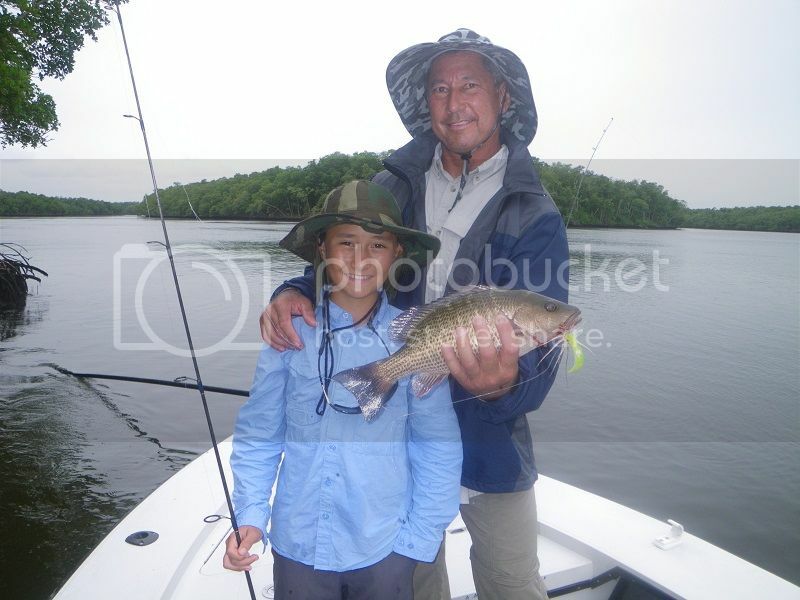 My last day on the water was Father's Day and I had Pete Parente with his young son Giovanni aboard. 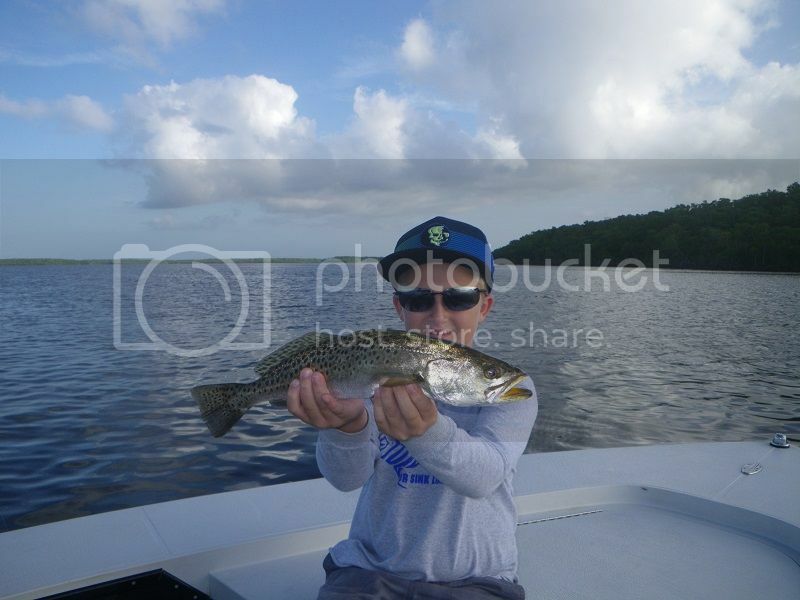 We started off the day catching lots of trout and ladyfish, while keeping a few of the ladies for bait. 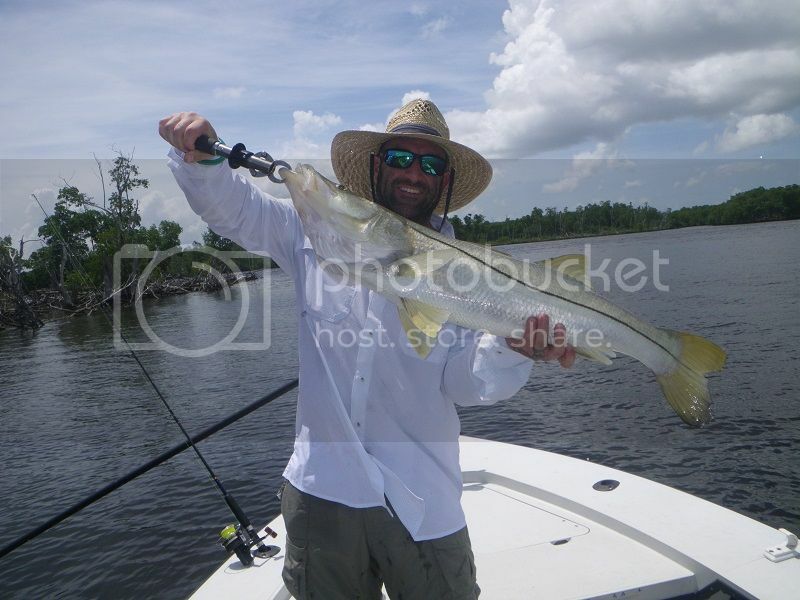 Wish this story had a happy ending but even after carefully releasing that snook -it only got a short distance and was chopped in half by another waiting shark.... very tough neighborhood in summer. Pete went on to hook up on an eight foot long lemon shark and fight it all the way to boatside for a release.... At the end of the day young Giovanni was sound asleep - a pretty good ending for his first visit to Flamingo! 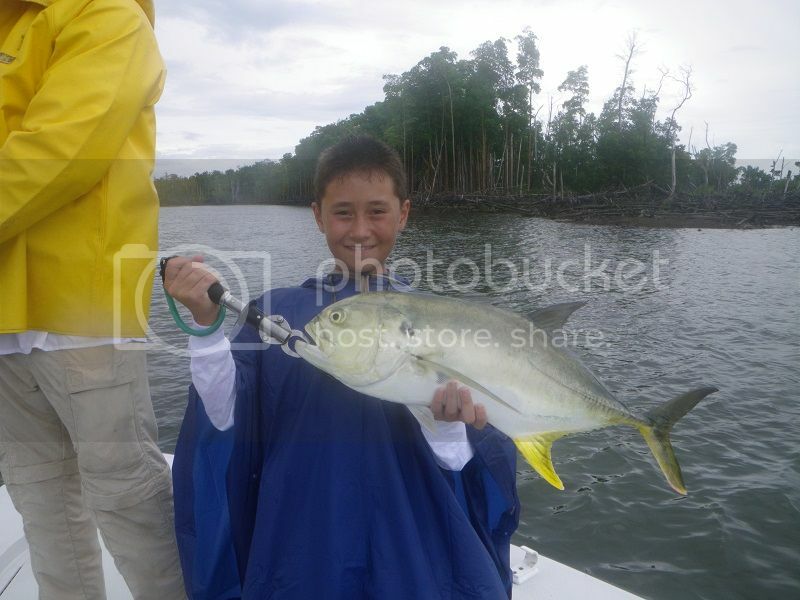 Be a HERO.... take a kid fishing. Great work and great report. awesome report as always capt!